Organised by Habitare and the Aalto University School of Arts, Design and Architecture, the Habitare Design Competition invites students at Finnish universities, institutes of higher education, or other educational establishments that teach architecture, design or art to explore the artistic, design and architectural possibilities of “tête-à-tête” and to generate ideas inspired by this theme. The grand prize of the competition is €5,000, and it is donated by the Finnish Fair Foundation. The Head Judge may choose to award this prize to one finalist or divide it among several entries. €6,000 will be distributed for building the final prototypes. This sum will be divided equally among all entries that proceed to stage 2 of the competition. The results of the competition will be announced at Habitare 2019. The competition’s design theme is “tête-à-tête”, describing an intimate conversation or meeting between two persons, especially friends. Whether it be a heated confrontation, a private one-on-one, a quiet heart-to-heart, or a romantic moment, a “tête-à-tête” takes place without the intrusion of a third person. The concept of “tête-à-tête” also describes furniture specifically intended to seat two persons, allowing them to face one another. The task is to explore the artistic, design and architectural possibilities of “tête-à-tête” and to generate ideas inspired by this theme. The objective is to design a piece of furniture, space, installation, art piece, object or combination of these, which enables a “tête-à-tête”. Participants may themselves choose the scale of their design proposal. However, if selected to proceed to the competition’s second stage, the proposal must be such that it can be partially or fully built and displayed in the scale 1:1 at Habitare within an area of approximately (length) 2,5 x (width) 2,5 x (height) 2,5 meters. Students may participate independently, or form teams of any size. The Jury will evaluate the competition entries based on their artistic, architectural, and design quality. The entries will also be assessed based on their functionality and structure. 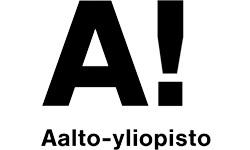 The competition is intended for students studying design and architecture in Finnish educational institutions, as well for students studying at The Academy of Fine Arts in Helsinki. Students may choose to participate in the competition independently, or form teams of any size. In the case of teams, the competition organizers encourage students to create multidisciplinary groups, allowing the competition’s theme to be approached and explored from different points of view. All participants must be students enrolled at an educational institution when the competition is launched 31st January, 2019. The competition will take place in two stages. Stage 1 ends May 7th, at 16:00, by which time all entries must be submitted both digitally and by post (see more information about the submission below). The jury will choose 3-5 entries to proceed to stage 2 of the competition within 3 weeks after the submission deadline, 7th May. All participants/teams will be contacted personally regardless of whether their entry has proceeded into stage 2 of the competition, or not. The participants/teams that proceed to Stage 2 of the competition will be invited to meet the jury from Stage 1 of the competition and present their entries. Participants/teams will be briefed about the competition’s schedule and receive tutoring with regards to finalizing their designs and construction for Habitare 2019 held at Messukeskus Helsinki, where they will be completed and displayed in their own exhibition. During stage 1 of the competition, participants must present their competition entries on a maximum of two A2-sized placards. The placards should briefly explain the entry’s design concept and the materials used. The entries must be displayed in such a way, that the jury can make their assessment according to the competition’s evaluation criteria. All entries must be submitted both digitally, and either delivered or posted to the competition organizers by the 7th May, 16:00. For participants/teams sending their entries via post, the package must have the date 7th May stamped on it. The placard(s) submitted in Stage 1, must be marked with the participant’s/team’s pseudonym. Do not place your name, the name of your school, or any other identifying information on your placard(s), or you may be disqualified. The participant’s/team’s contact information must be enclosed in an envelope and attached to the back of the placard(s). This envelope should be marked with the same pseudonym used on the placard(s). Entries must be submitted digitally as well (pdf-document) and sent to the competition secretary via e-mail either as an attachment (natalia.baczynska.kimberley@aalto.fi), or as a link (e.g. Dropbox, We Transfer) by 7th May, 16:00. The pdf-document containing the competition entry must be marked with the participant’s/team’s pseudonym. Do not place your name, the name of your school, or any other identifying information in the pdf-document or the name of the pdf-document containing the competition proposal, or you may be disqualified. The participant’s/team’s contact information must be enclosed in a separate document (pdf, Word etc). In Stage 2 of the competition, the selected participants/teams are required to build a prototype (scale 1:1) of their competition entry. Technical drawings/plans presenting the construction of the competition entry must be included and displayed on 1-2, A2-sized placard(s). The competition’s head judge, invited to select and award the winning entry in stage 2 of the competition, will be announced after stage 1 of the competition has closed. Messukeskus will display the finalists at the Habitare 2019 and use the competition entries in its press relations regarding the overall Habitare in both in Finland and abroad. Possible sponsors involved in the construction of the final prototypes have the right to use the competition material in their own press relations.